I finally got a hold of The Amazing Spider-Man on DVD and can't help but think how spider-tastic this egg looks. The process of making one of these eggs is pretty easy, too, no matter if you plan on using store-bought dyes or all-natural homemade coloring for your eggs. 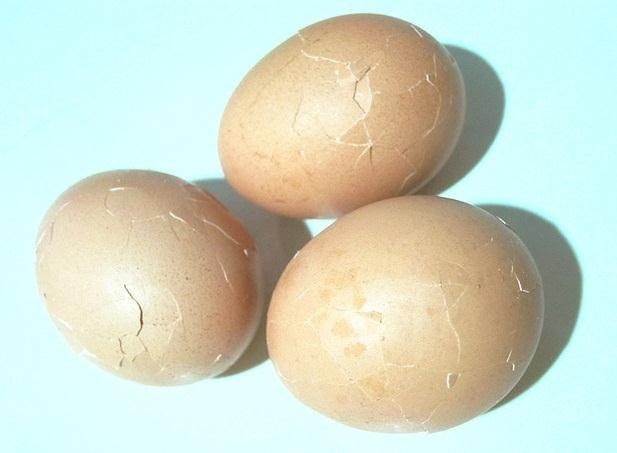 Toss a few eggs into a pot of water and boil them on high for about seven minutes. Afterward, toss them into another pot of cool water for about half an hour. When they have cooled down, you're going to want to lightly crack the eggshell, but be sure to keep the integrity of the shell intact. 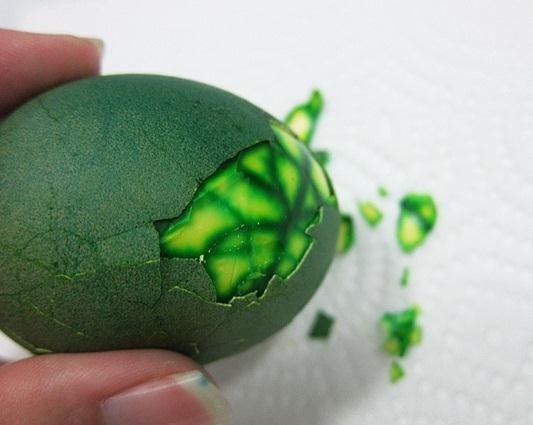 Now take your cracked eggs and pour some food coloring all over them, whether it's store-brand or natural dye, making sure that coloring gets into all those crevices the cracks created. 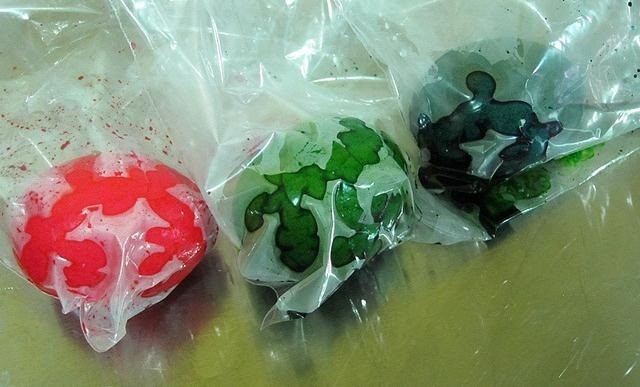 With your eggs properly dyed, set them in a ziplock back for about half and hour to let the colors absorb. After that, you're going to pour some white vinegar on the eggs to set the color, and use a paper towel to pat them dry. 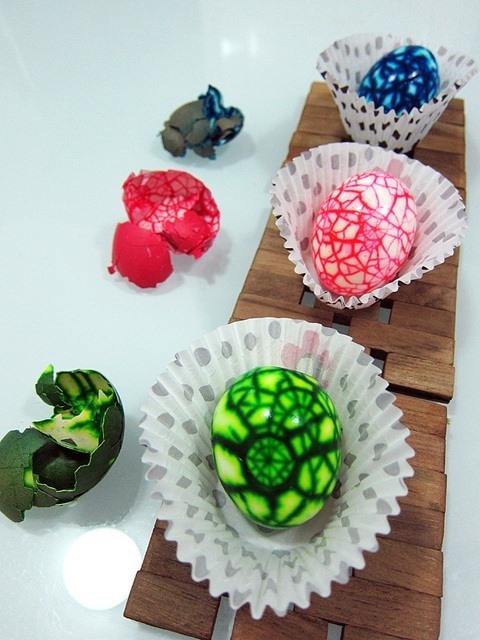 Now you have a bunch of wildly colored eggs ready for your Easter egg hunt. 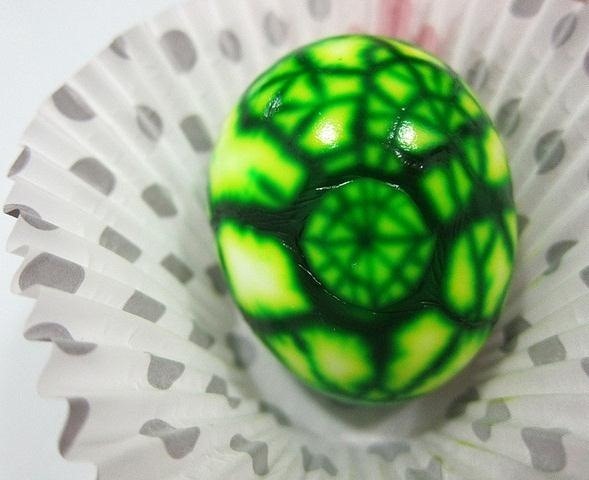 When the kids find these eggs, they are going to find a very cool looking edible inside. For the complete guide to making spiderweb (or marble) eggs, check out Kimberly Low's original tutorial on her blog, Narcissism is Necessary. Want to add another twist to this Easter egg recipe? Make them golden eggs, aka hard-boiled scrambled eggs. Want to add more laughs and fewer colors this Easter? 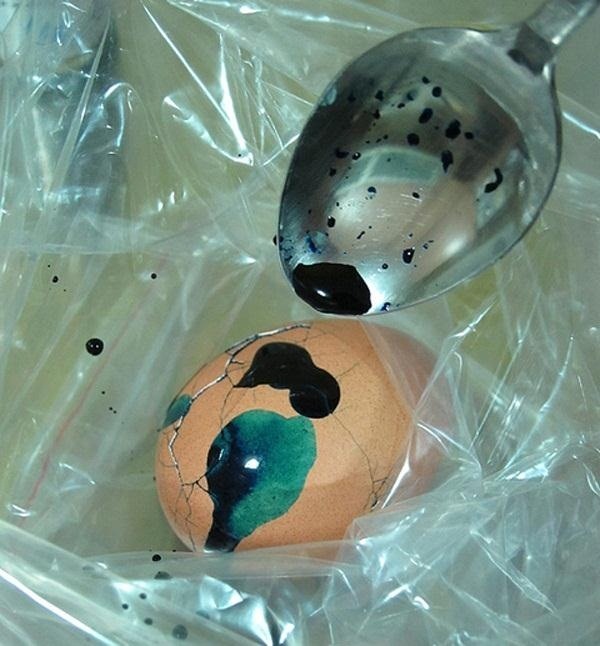 Try out these prank chocolate eggs, perfect for April Fool's Eve shenanigans.